One of the wonderful things about the Telluride Film Festival is it’s eclectic film program. Restored classics, silents accompanied by music, documentaries and foreign films all vie for attention beside the Hollywood Fall offerings that are trying to garner Oscar buzz. Sadly, there are too few days and too many film-goers, so you are forced to pick and choose. That often means missing some of the smaller, often better films because there’s no way to get into the smaller screening rooms without a pass. I was grateful that I got to see Todd Haynes’ Carol, early on. This beautiful film with it’s amazing costumes by Sandy Powell and lush cinematography gave me a lovely art-directed-to-the-gills retreat from some of the harsher films. Black Mass was a film I wouldn’t have chosen to see and the violence left a brain scar. Yes, Johnny Deep was unrecognizable and there should be a make-up award in the works. But who needs to see that violence, especially against hapless women, in a trite story that’s been told countless times… Do we need another gangster film? My favorite films transported me to another place and time. Carol is set in 1950’s America and it’s production design is remarkable. Viva was filmed in present day Havana, in the rough and tumble of a poorer neighborhood. Both films have characters willing to hide their true nature to keep their families intact. In Carol, Rooney Mara is a shop girl who falls in love with an older, sophisticated woman (played by Cate Blancett). In Viva, Hector Medina is young hairdresser and aspiring drag performer who’s father returns and tries to control his life. In both films, the stars give such honest performances; revealing a vulnerability that it draws you into their stories. It’s their faces that you remember, the joy at realizing a dream and finding acceptance or finding love. Different places, different times but a struggle for acceptance that most people can relate to…and rejoice in. My other favorite film was Ixcanul, the story of a Guatemalan teen who’s pregnancy threatens a family’s livelihood. There’s a wonderful mother/daughter bond and an unusual filming style with static shots that capture extended scenes of daily life This charming film is full of touching moments. The director, Jayro Bustamante is raising funds to turn a chicken bus into a rolling movie theater to screen the film for Mayan audiences who would otherwise not get to see it. There’s was an interesting coincidence at TFF, two of the films I enjoyed, Viva and Mom and Me were both directed by Irish men. Paddy Breathnach, directed Viva in Spanish and Ken Wardrop directed his film by way of the internet. He found his subjects thru research online and traveled to Oklahoma to film his documentary. It’s a delightful film about the loving relationships that some men have with their mothers. It made me wonder why he didn’t make the film in Ireland where there would seem to be many “momma’s boys” but it also made me wish that all countries had such supportive Film Boards as the Irish Film Board! Time to Choose is another great documentary, with a hopeful message about Climate Change. Director Charles Ferguson lays out three areas where we’re really failing in the care-taking of our planet and offers advice on how changes to improve our world will also improve individual lives. It was a pleasure to have a film about such a dire topic presented with facts and figures and heart-breaking footage, but also with concrete steps we as individuals can take. It’s all about educating consumers to wield the almighty dollar and fight for change. I didn’t see many of the Hollywood films as I was trying to focus on the smaller independent and foreign films. I found Steve Jobs a bit exhausting. Great performances by Kate Winslet and Michael Fassbender with snappy dialogue but almost assaultive in it’s rapid-fire delivery. It’s interesting that the documentary Jobs is in theaters now. The discussion with the filmmakers and stars was a hoot. Aaron Sorkin kept stealing the show but Kate Winslet was very funny. I was lucky to see nine films in my six days in Telluride. I thought Laurie Anderson’s directorial debut, Heart of a Dog was a lovely meditation on the acceptance of death. I really enjoyed the documentary on Hitchcock, Hitchcock/Truffaut, and was glad that I left after the beginning of Wake in Fright — killing kangaroos is not for me. There was only one I regret seeing, Black Mass, and many more I wished I could’ve seen. Overall, I’d say the TFF program was not as strong as last year but the trip was worth it to spend time with some of my favorite people. The festival has some serious issues that it needs to address in the way it treats it’s staff and patrons but it’s a great festival and such a special place to see a wonderful and eclectic program. Yes, they call it The Show. As in, let’s go out to the barn and put on show! With 800 plus volunteers and staff and 9 venues plus an open-air screening and discussion space in a park, TFF should really be referred to as The Circus! As a returning volunteer, part of the Show Corps, I get an insiders view of the machinations that this festival undertakes every year. 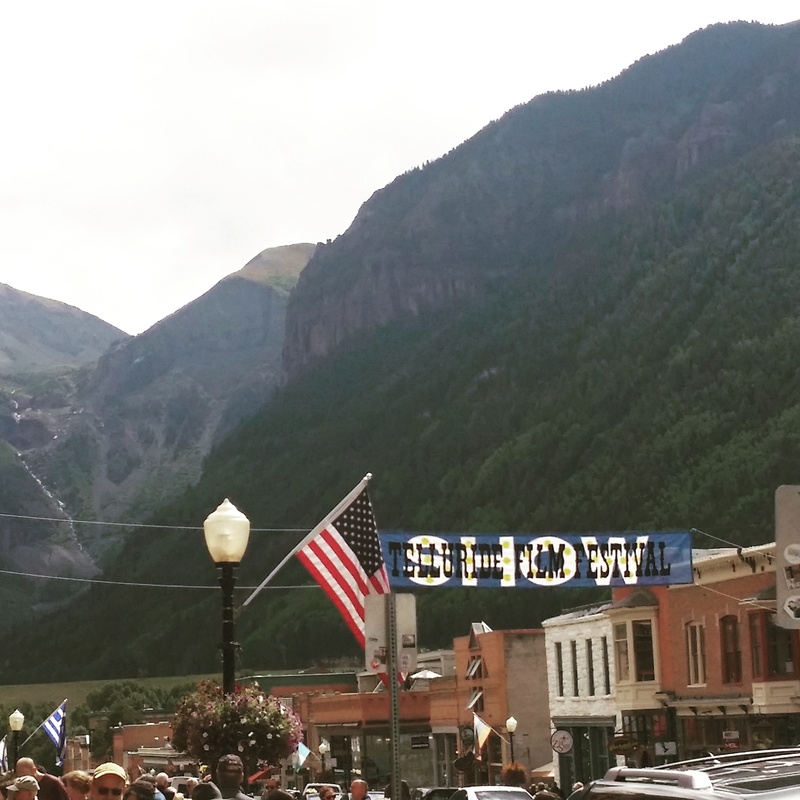 The crew transforms the small town of Telluride into a showplace for film. They create a theater out of an ice rink, three theaters inside schools and every meeting hall and library screening room is utilized. Banners and flags line the streets, lights are hung everywhere and concession stands are created in parking lots. There’s even the Big Tent; the Brigadoon, that is the gathering spot for Passholders, Patrons and Sponsors. 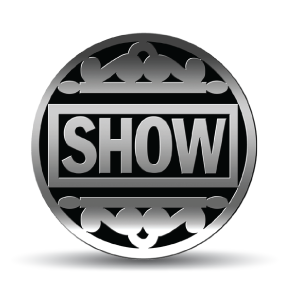 This year there was a great App called “The Show” that was a big help in navigating the festival. There was a calendar feature with TBA’s loaded every night between 8-9pm. The films were listed alphabetically and by theater with a handy Talking Heads section for Conversations and discussions in the park. The best feature is Show Seats: a reckoning of the real time availability of seats in a particular theater based on how many “Q” cards have been handed out. A great gauge for whether a trek down to the Palm theater is a waste of time or if there’s a chance to see the next screening. The poster and t-shirt have a great design and color, with a bear wandering into town to check out the old-fashioned theater venue. Apropos, as there were bear sightings early in the week. Badges also featured upgraded design with photos more prominent and bar codes for scanning at theaters for the new app feature, Show Seats. Besides the two days of on again, off again rain, what really put a damper on this year’s festival was staff morale. Having not found a space big enough to host our Clubhouse this year, the festival decided to do away with volunteer meals. This meant there was no gathering spot with free wi-fi and clean bathrooms, no place to retreat for breaks and to build camaraderie with other staff….but also a general feeling that sponsor dollars were being spent on a $10,000 cake while staff was expected to be happy with 10% off at two markets. Training Day staff meal was pathetic. A 45-minute wait for a food truck meal of veggie burger or meat patty, fries, salad and curry soup with crowded benches in an empty lot. Food was served with garbage and recycling bins lining the waiting area. There was another meal for everyone but the amount of food at the Opening Night Feed was embarrassing: one skewer of veggies or chicken, a corn muffin, a grilled corn cob and a delicious jicama salad that was doled out sparsely. The Labor Day picnic had more salad options but the ice cream ran out quickly. When volunteers have traveled so far and many of them are camping, having no staff meals meant some grumpy workers! There was also far less training. New staff were given general orientation but at the All Staff meeting (which lasted 45 minutes last year), there was a teary welcome and acknowledgement of the sacrifices and hard work put in by staff by Julie Huntsinger, festival director–with no mention of the lack of meals and the short notice of that decision. Then a benediction from festival patron Ken Burns, a heart-felt message from long-time staffer, Peter Sellars and a staff photo. As we gathered in groups divided by venues, there was some quick direction by each manager and that was that. All of concessions was grouped into one large cluster outside with the manager quietly handing out manager binders and no mention of any new changes or updates or introductions. The rain must’ve kept folks away the first two days, when staff was told to stay away from premieres, because both Sunday and Monday, all the films seemed to be at capacity. Staff was shut out. I stood in three lines at three of the smaller theaters and was turned away. Even some of the larger venues like the Palm and Chuck Jones had to turn both staff and Passholders away. The festival went cashless this year. Meaning that to purchase concessions or single film tickets, you needed plastic. The problem with this new policy is that the iPad were difficult to charge, did not always get on a wi-fi signal and ticket sales had to have a signature. When there are 70 people waiting to get into the Warner Hertzog theater and there’s only ONE person with one iPad, well, you can imagine that it was a long wait. And the show started before everyone who wanted a ticket to purchase one. Empty seats in the theater and unhappy festival attendees–what an awful combination. I hope there’s a solution next year! Outdoor screenings and talks were drippy affairs and with no screen up to project the discussions on….fans had to strain their necks on the sidelines or crowd the stage at the end to actually see the people on stage. With Amazing Grace cancelled, the documentary, Sherpa was given a boost by being moved indoors to fill that spot on the program. The final screening outdoors of Laurie Anderson’s Heart of a Dog, an experimental autobiography/meditation on death was sparsely attended. And many staff were just too exhausted and/or fed-up to attend the Closing Night Party. Were there less films in this year’s program or just fewer standouts? Besides the big Hollywood screenings: Carol, Black Mass, Spotlight, Suffragette, Steve Jobs, Room and 45 Years,there seemed to be fewer documentaries. The festival buzz was strong for Rams, a dark comedy about Icelandic sheep farmers and Ixcanal, the Guatemalan coming-of-age film about a young girl and her parents. I adore the newest Pixar short, Sanjay’s Super Heros and enjoyed seeing a new Bill Plympton short. I was sad to not see the Student Short program which I heard was outstanding, but glad to miss some of the more esoteric fare and the avante garde cinema like The Picture, with random close-ups paired with a cacophony of sound created by the Alloy Orchestra. It was first time I saw entire rows of film-goers exiting the theater. 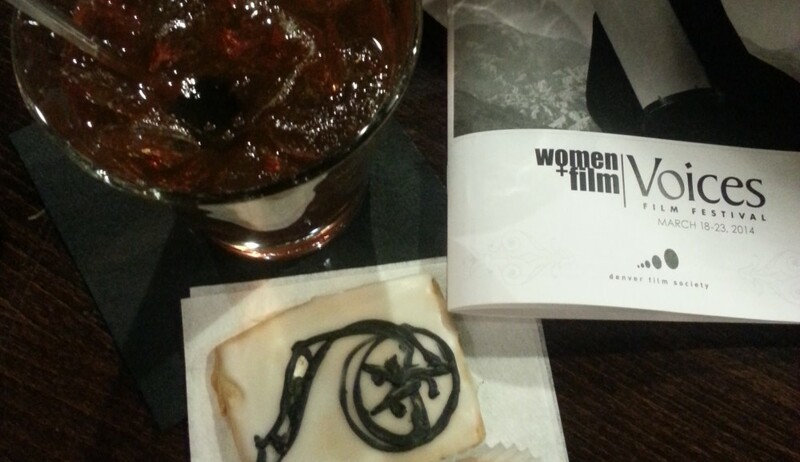 More about the films in another post…suffice it to say, it was an off year for this film festival. 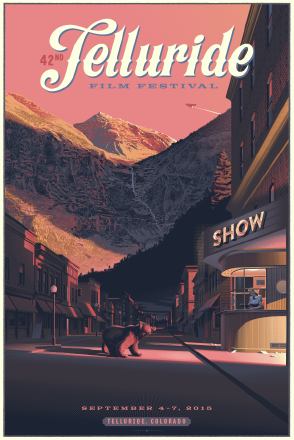 So WhatS with all theSe Hollywood filmS, Telluride Film FeSt? 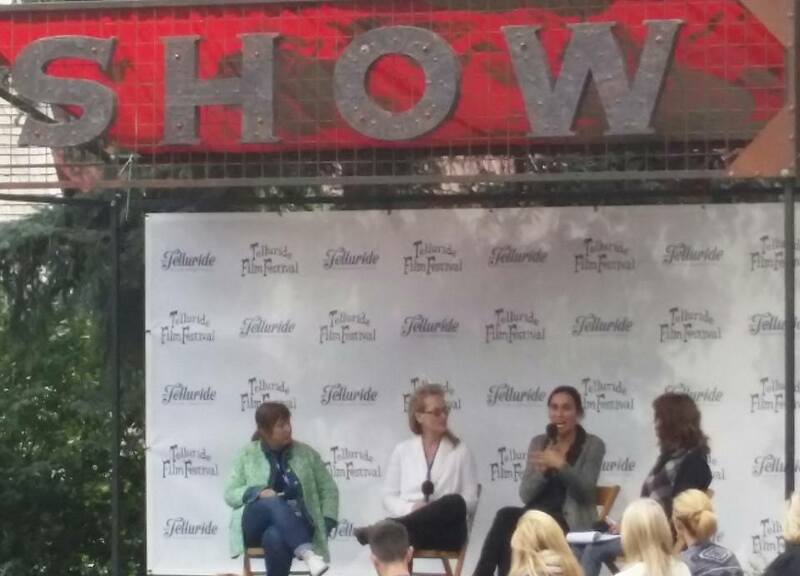 Spotlight, Steve Jobs, Suffragette…yes, all good films…even great films, but this year’s Telluride Film Festival seemed to have gone Hollywood. There were many Star-Studded, Serious Subject films…okay enough with the alliteration. There’s a wonderful system of TBAs; films that get screened again on Sunday and Monday of this brief four-day festival. In response to films that “Sell Out”, those films are screened in the empty slots in the program. This year, the well-heeled crowd of Sponsors and Patrons seemed mainly interested in the big budget films. The Sunday screening of “Spotlight” at the Chuck Jones Theater (one of the larger venues), was at Rush within 15 minutes and the lawn at Elk Park was a sea of tarps, chairs and blankets for the evening screening of the same film. To have a big film screen two times in one day but still not satisfy the crowds of film fans; that’s an odd thing. To be fair, many of the smaller independent films were also at capacity. At the Sheridan Opera House, it was standing room only for back-to-back films and many people were turned away. Ixcanul and Rams were both screened again in bigger venues, but Monday’s programming had 8 Hollywood films to the 26 Indies. There didn’t seem to be as many brilliant films this year…and many people were disappointed in films that they waited in long lines in the rain to see. 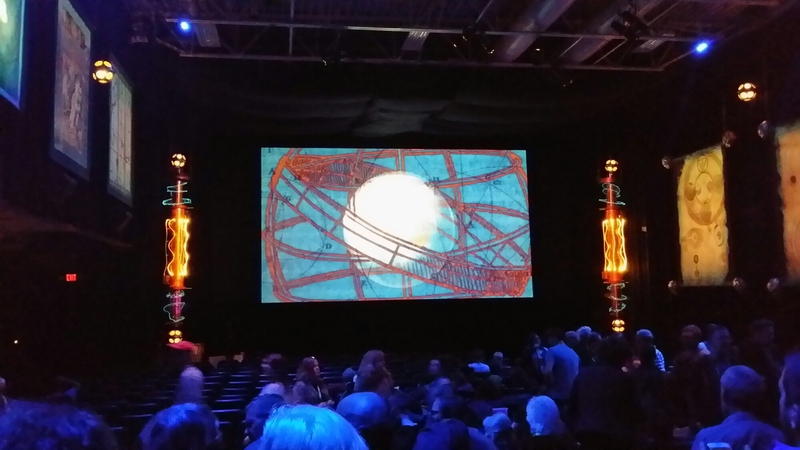 There were lots of film fans disappointed on Sunday particularly–many screenings had to turn away even the Passholders. Every film festival wants to have some stars and add some glamour to the program. Telluride Film Festival is no different, but in the past, the emphasis was on the big-name directors: Werner Hertzog, Ken Burns, and other auteurs that have made TFF a cinephile’s paradise. This year there was a tribute to Danny Boyle, media-maker Adam Curtis and the talented Rooney Mara but the festival would have been better served screening the cinema-focused Hitchcock/Truffaut and Ingrid Bergman–In Her Own Words in the larger houses…and stick the slick Hollywood films like Black Mass in the encore program. Who goes to film festivals? 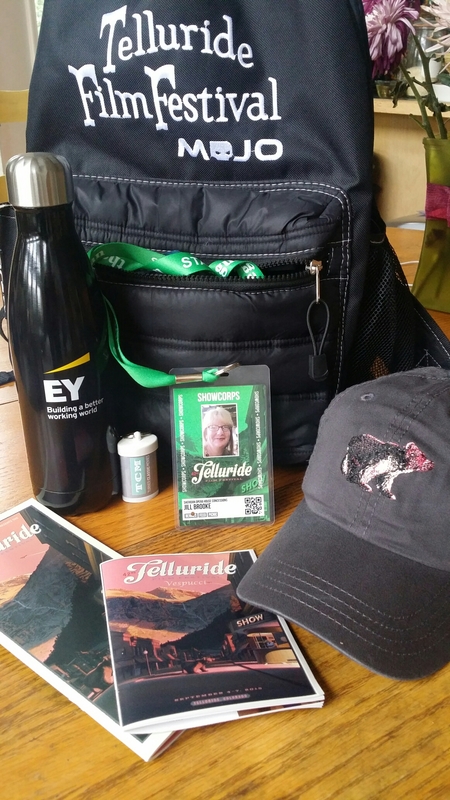 Coming to Telluride for the film festival is no easy feat.. Unless you live in town, it’s a long haul from anywhere…and can involve an expensive flight. Lodging is not easy to come by, nor is it inexpensive. And film passes are very pricey! So why make the journey? This is only my second year but this festival instantly jumped to the top of my favorite festival list. Yes, the setting is incredible. But it’s so much more. From the secrecy surrounding what films will screen, the transformation of an entire town into a film mecca, the disdain for paparazzi and celebration of an egalitarian approach to getting into a screening– it’s an experience like no other. You stand in line with folks of all walks of life: wealthy patrons, locals, film students and film snobs. All grasping that golden number that is your place in the admittance rank. Yes, many of these people work in the industry but just as many are serious film aftionados willing to sacrifice their Labor Day weekend every year surrendering to the lure of true cinema. Not the glam of star-studded premieres and fancy parties, but the chance to see the new indie gem or masterwork by a revered foreign filmmaker. All of us gathered to worship in the communal experience of flickering lights and expectant hush. I traveled here with a producer and documentary filmmaker, an editor and an actress. Meeting at the closest inexpensive flight option–DIA. All of us working the festival as part of the crew of 800 that descend on this picturesque mountain village. Working the festival earns you the prize of a laminated badge that allows to grab that golden ticket and take your place in line. But it’s also the chance to be part of this great community of film festival gypsies, some of whom work the circuit of festivals, many who have arrived weeks before to set-up the venues, box offices, festival tents, hanging lights and prepping projection boothes. There’s a comraderie akin to working on a theater production. You feel as if you’re part of something bigger than yourself; something important and possibly…transformative. for me, it’s the chance to reconnect with my fellow festival gypsies and the opportunity to discover the freshest film offerings from filmmakers both known and new.